I am trying to get a workflow to start over when an item is changed even if it is still running on previous criteria. When I changed an item's expiration date, it was set still in pause mode based on the criteria below. Is there a way I can start a workflow over again even if it is in a previously pause stage in the workflow? Thanks for any help in advance! Multiple instances(for same version) of the same workflow cannot run on a single item at the same time. 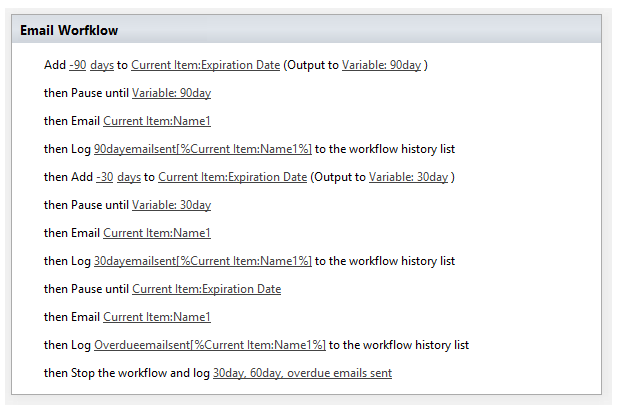 If you want to wait for some field to change to the particular value in your workflow then you can use Wait for Field Change in Current Item action in SharePoint designer workflow 2013. Not the answer you're looking for? Browse other questions tagged 2010 sharepoint-designer workflow designer-workflow or ask your own question.